I love teaching my children about the Lord. It’s one of the primary reasons why we homeschool. Like many of you, we read a lot of Bible stories at home. We also enjoy teaching Bible verses to the kids so that they can memorize them. It’s our hope that as they grow older, the truths of scripture will make more and more sense. These truths will form the foundation for how they view the world and the Lord. Our primary goal as parents is to raise children who love the Lord and desire to bring glory to Him. While we have taught our children about the Lord in day-to-day life, and we have made church and Bible time a priority, I also appreciate the value of a catechism. Growing up in a predominately Catholic area, I always thought a catechism was for Catholics only. But catechism simply means an orderly way of teaching. It generally uses a question and answer format. Here’s a quick article about why catechisms are important from John Piper. Using a catechism does not guarantee that my kids will love the Lord when they’re adults–that’s something that only God can do in their hearts! But using a catechism does mean that even as children, they will have a basic framework for understanding who God is. That’s why I was thrilled to review a protestant catechism curriculum by Tauna Meyer, at Proverbial Homemaker. This post contains affiliate links. You don’t have to purchase through these links, but any purchases made through my site goes to support running the technical side of MamaGab.net Thanks for your support! 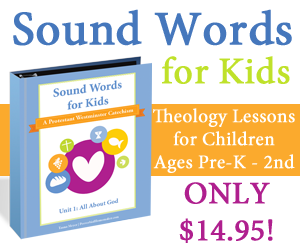 Sound Words for Kids is a Westminster Catechism for pre-K through second grade. It’s a simple way to teach theology to children (and it is designed for Protestants). 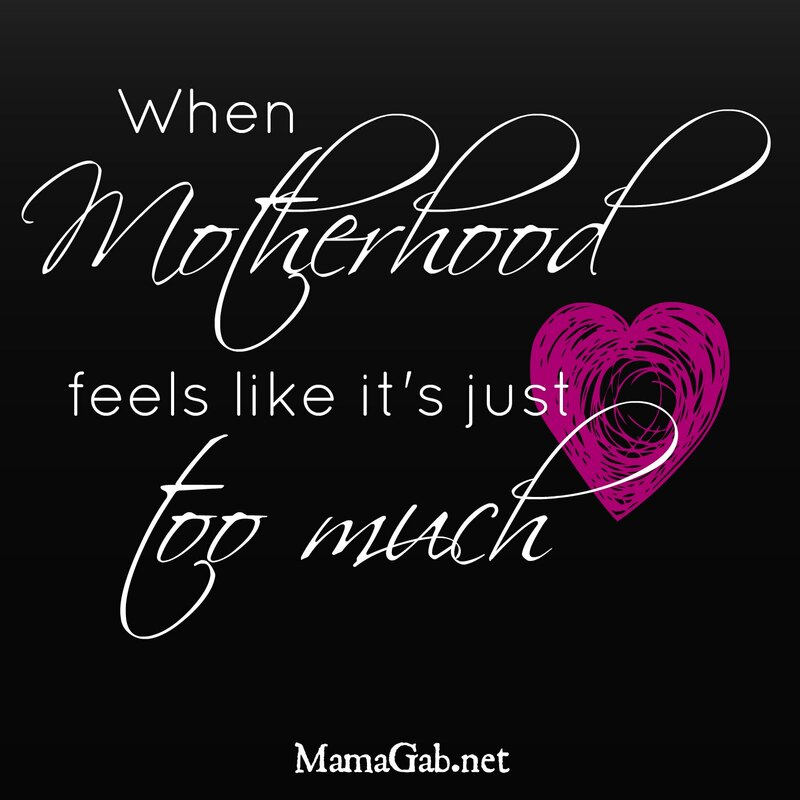 In my conversations with other moms, I find that some are intimidated by the term theology, when actually, theology just means the study of God. We all have beliefs about who God is, and sometimes that belief system comes from scripture and sometimes it doesn’t. I want my idea of God and my children’s idea of God to be completely true and accurate, so it’s important that those beliefs are founded on scripture. Every time we teach a child “Jesus Loves Me, this I know for the Bible tells me so,” we are teaching theology. But by choosing a systematic way of teaching our children what the Bible says about God, we can be sure that they have a solid framework for who God is, as revealed to us through scripture. It’s simple. I have Unit 1 on my Kindle, though you could print it and easily make a binder for the curriculum. I print any coloring pages and copy work ahead of time. Then I use a good children’Bible to read the passage and my Kindle to lead discussion. My 6 year old, working on the catechism for her handwriting practice. I find that the lessons are not too lengthy and wordy, which is a huge plus when you’re teaching young kids (mine are 2, 4, & 6). Once the lesson is complete, we may color the page or I might teach them a hymn that goes along with that lesson. We can then practice the Bible verse together. Sometimes I do shorten the scriptures for my kids, since two of them are pretty young. Batman doesn’t come to your house for school?? He’s at our house often! Once we’re done with the lesson, the kids might color the page and my oldest will work on the copy work as part of her handwriting lesson for the day. Simple craft ideas are included with the lesson, but since I’m not very crafty, we usually skip these. But I love that we have the option of doing them when time permits. I also love that the crafts are easy and use items that we already have on hand, like construction paper and glue. My 6 year old asks good questions about it. Because the Bible stories are not new to her at all, she is really able to make connections to the character of God as we look at scripture. Meanwhile, my 4 year old is learning the stories themselves, sometimes for the first time. And then my 2 year old is simply lisping the catechism answers along with his big brother and sister (when he’s not busy being Batman). When I tuck him into bed each night, we review the questions. I’ll ask “Who is God?” He says “wiving and twoo God” (the only living and true God). It’s so sweet! My favorite thing about the curriculum? Simplicity. You may have noticed how many times I used the word simple. It’s so simple that we have completed a lesson outside at the picnic table while the kids were eating lunch. Sound Words really is a simple curriculum that teaches deep truths, truths that are like tiny deposits into the bank. One day, the interest gained on these truths will be invaluable. In many ways, it already is. Here’s the fun part. Do you want to get this curriculum for free? You can actually download all of Unit 1 for free on February 13-21st. No giveaway to enter, no sample download. Just get it completely free. After this week, the curriculum will be available for $14.95 (still a great price for curriculum). What do you use to teach your children about God? Great review! Your kids look like they are really enjoying it. Yes, they really loved it! Thank you so much for the great review Gabby! I love how you made it fit your needs, and your two year old answering such a deep truth in a sweet way made me smile! That’s what it’s all about. And thanks for letting me be a part of the review team! We really are enjoying it. The simplicity of the whole curriculum makes it easy to stick with it. I also love teaching my children about the Lord. And I love talking theology with my kids. I hope you enjoy the curriculum, Shiloh! It sounds like it will be just the kind of thing you enjoy.